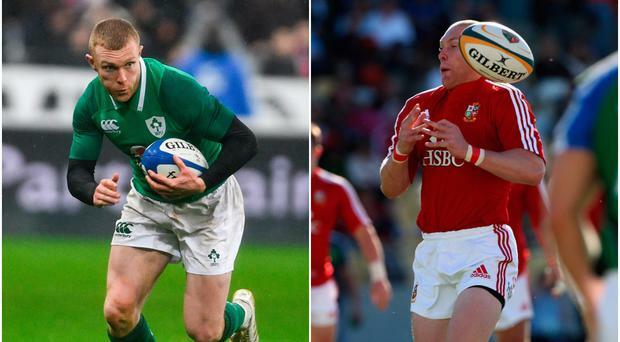 Ireland star Keith Earls has opened up on his tough experience on the 2009 Lions tour and how the setback helped shape his career. Earls had only played for Ireland twice when he was selected by Ian McGeechan as a 21-year-old bolter to travel to South Africa, but he fell out of test contention after a nightmare opening game. Having travelled as one of the hottest prospects in the world, the knock to Earls' confidence took a while to recover from. Speaking to Luke Fitzgerald and Will Slattery on The Left Wing, Independent.ie's rugby podcast in association with Laya Healthcare, Earls discussed the chastening experience, and how he ultimately learned some valuable lessons that helped him further on in his career. "It was probably the worst thing that happened to me going on the tour that year," Earls said. "Luke probably had three years on me, he was playing for Leinster and had won a Grand Slam. I only had two caps for Ireland at the time. "The first game didn't go well. It was the worst thing that happened to me and the best thing. I learned some harsh lessons on that trip." The Ireland and Munster star has worked hard on the mental side of the game in recent years, working with Keith Barry to give himself an on-field edge, and it has paid dividend. Earls is having the season of his life, having already won the Grand Slam with Ireland while Munster are still in contention on two fronts. The 30-year-old thinks he has come a long way from the youngster who struggled in South Africa, and wishes he could have another crack at a Lions tour in his current form, and with his new mental toughness. "That was a bad time for me," he added. "If it happened to me now, I think I would have the mental strength to get over it whereas I didn't have a clue about it then. I spent that night [after the opening game] going around apologising to all the lads. I was like 'Oh my god, I'm so sorry. I was brutal in that game' or whatever. I didn't have many caps and I didn't want them thinking I was useless and didn't deserve to be there. "Now I'm in a better place mentally and I'd know how to get myself out of a situation like that. It was great to have been on a Lions tour but I would have liked to have gone on one playing well and with a lot of caps under my belt and being as mature as I am now."